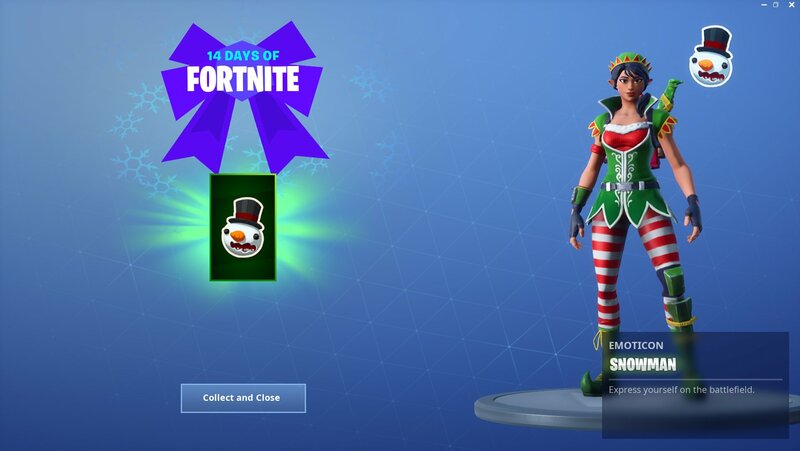 The new challenge for Epic’s 14 Days of Fortnite is now live and ready to unlock! 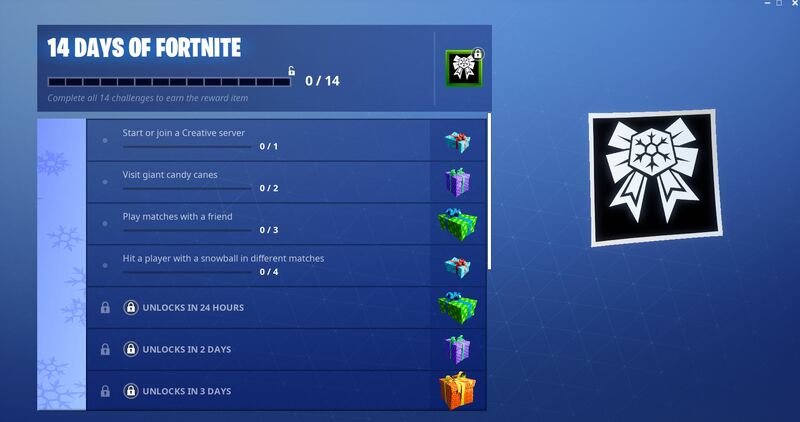 The fourth challenge of the event plays off of December 21’s challenge reward – The Snowball toy. The challenge tasks players to hit another player with the snowball toy in four different matches. The easiest way to complete the challenge is to hit other players in the lobby before the battle bus takes off, or play a few matches with friends! Once players complete the challenge, they will unlock the Snowman emoticon. 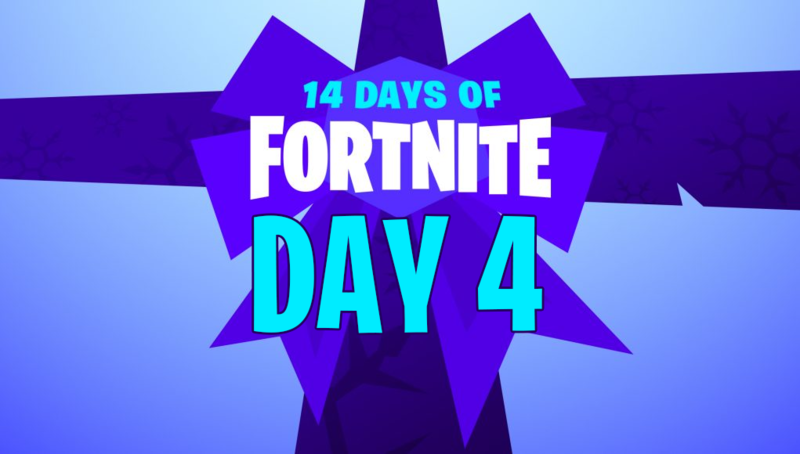 If you are looking for a few fun modes to try in Fortnite, Epic is rotating two special LTMs each day of 14 Days of Fortnite. Old and new Christmas skins are also coming back into the shop. Check out our article on what is appearing in the Item Shop for December 22. Have fun pelting other players with snowballs!